Owning a conservatory can be a wonderful thing. It can be a perfect sanctuary to go and relax or to admire your garden through the large glass windows. 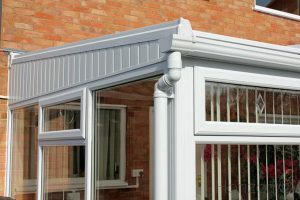 If you are planning on spending a lot of time in your conservatory, then you’ll probably want to consider decorating the place to make it your own. The great news is that there are many styles of conservatory blinds available on the market. From Venetian blinds to roller blinds, you are spoiled for choice which means you’ll be guaranteed to find the blinds that match your taste. You’ll want to make sure that the blinds fit in with the rest of the decor of your home though, as consistency is a primary design principle. Conservatory blinds come in a variety of colours, so ensure that you pick a style that not only suits you, but also suits your conservatory and the rest of your home. Conservatory blinds, as with any other product on the market, come in varying qualities at varying prices. Cheap blinds can be an attractive option as they can save you some money in the short-term, but they can also end up costing you in the long-term. It is likely that your conservatory receives a lot of sunlight, and poorly made blinds can quickly fade from sunlight exposure. This makes them look worn and outdated before you’ve even had a chance to get used to them and show them off to your friends and family. A quality blind manufacturer will always use materials that conserve their colour, making them look attractive for years no matter how much sunlight they are bombarded with. A good conservatory blind can work wonders for your conservatory. The main problem most people find with conservatories is that they can become very cold during the winter months. They can also become exceptionally hot during the summer months. Enjoying time in your conservatory when it is too hot or too cold can be tough. You can combat this situation easily by picking a good quality conservatory blind. Conservatory blinds act as a great tool to retain heat during the winter and keep the heat out during the summer. Installing conservatory blinds that keep heat in and out will result in you having much more time to enjoy the comfort of your conservatory, even in extreme temperatures.